Cheers to thirty! 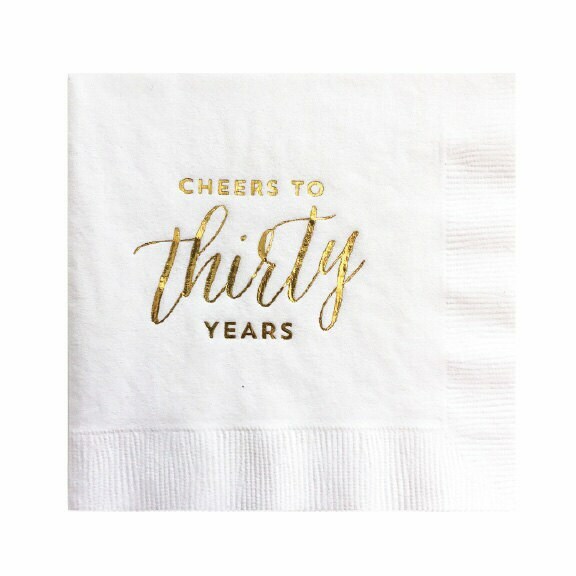 Celebrate your 30th birthday in style with our gold foil napkins. Also perfect for a 30th anniversary!